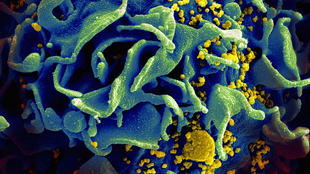 HIV-infected T cellFLICKR, NIAIDMost HIV treatments depend on the activation of all CD4+ memory T cells that harbor the latent reservoir (LR), which is composed of inactive HIV proviruses integrated into the genomes of these resting cells. 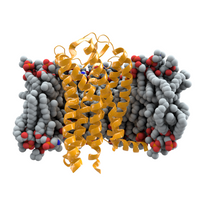 Knowing the size of the LR is essential for measuring the success of antiviral therapies. Two common ways to test for provirus in a patient with HIV are the PCR-based method, in which integrated HIV DNA is amplified and quantified using PCR and the viral outgrowth assay (VOA). 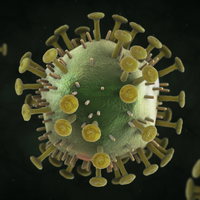 For the VOA, a patient’s CD4+ T cells are collected and then activated in vitro, so that they produce virus from the LR and release viral proteins that can then be quantified. PCR detects much more provirus than the VOA, and in the past, it was assumed that not all of the provirus that is detected by PCR is transcription-competent. Now, researchers from Johns Hopkins University School of Medicine in Baltimore, Maryland, have characterized the LR more completely than ever before, and show that its size is perhaps 60 times larger than predicted by the VOA. Their work was published today (October 24) in Cell. “I think it’s an excellent paper and a very provocative finding,” said HIV researcher Jonathan Karn, a professor of molecular biology at Case Western Reserve University, who was not involved in the work. The evidence “does indicate that the VOA probably underestimates the latent reservoir,” added Karn, which is “really quite an important observation.” Knowing the LR’s true size is essential for clinicians who must decide when a patient can discontinue antiretroviral therapy, he noted. 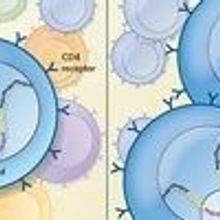 The VOA “is a very sensitive assay to detect all possible viruses released after maximum T cell activation, so people have believed that this scale of the latent reservoir is what we need to eradicate, which is around one in one million resting CD4+ T cells,” said first author Ya-Chi Ho, who is a postdoctoral fellow at Johns Hopkins. The research team thus began as it would have approached a VOA: by activating patients’ CD4+ T cells. Then they used PCR to amplify proviruses not induced by activation, and sequenced them directly. The researchers found that 88 percent of proviruses had obvious defects that would make them replication-incompetent, such as deletions or start codon mutations, which was consistent with previous observations. However, almost 12 percent had no obvious sequence defects, yet were not induced during the first round of T cell activation. The scientists examined the genomic location and methylation status of these proviruses. They found that most of the noninduced proviruses were in active transcription units and were not CpG-methylated. They also showed that more rounds of stimulation could induce some of the proviruses to produce active virus. Based on these results, the researchers proposed that provirus induction is stochastic, and that the size of the LR is likely around 60 fold higher than previously predicted by VOA. “I think everybody in the field had a sense that there was something like this to explain the discrepancy between the VOA and the PCR-based assay,” said Fabio Romerio, an assistant professor at the Institute of Human Virology at the University of Maryland School of Medicine in Baltimore, who did not participate in the study. “What was really striking, at least to me, was that there is a high frequency of cells that do not produce virus when they are cultured in the VOA, and yet they contain replication-competent HIV sequences,” he continued. “That is scary,” Romerio said, because latent HIV must be induced in vivo in order for anti-latency drugs to be successful. 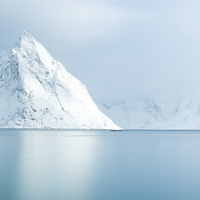 A larger HIV reservoir may sound daunting, but experts agreed that although the paper showed caution is required when interpreting all assays, it is better to understand the full size of the LR than to be in the dark. The field will need to grapple with how to proceed with activation and treatment in vivo, based on new understanding that latent, replication-competent HIV may not be activated, said Karn. But “I am very optimistic that we can get this right,” he added. Y. Ho et al., “Replication-competent noninduced proviruses in the latent reservoir increase barrier to HIV-1 cure,” Cell, 155: 540–551, 2013.